The border between the United States and Mexico has certainly been in the news recently, what with the controversy surrounding immigration and continued issues with long delays at the border as well as potential crime and other problems. At the same time, however, many global corporations have operations on both sides of the border, and send employees both to and from Mexico and the United States on almost a daily basis. Employee travel security to/from Mexico as well as employee monitoring have become priorities for multinational corporations in North America. This frequent travel interaction between Mexico and the United States create some new problems for employers and human resource professionals, as the company is responsible for tracking its employees and doing its due diligence to keep them as safe as possible in a very complicated world. However, in comparison with travel to or from a faraway destination such as Saudi Arabia, China, or South Africa, employees may not have a formal itinerary in a place that is literally a next-door neighbor. 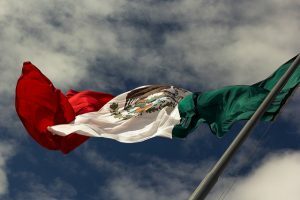 Indeed, employees may be unwilling to file formal itineraries for travel to or from Mexico, and may be resistant at the hassle of checking in with the home office on a regular basis. However, as close as Mexico is to the United States, it is still a foreign country, with foreign ways and a very different situation than that of the United States. Enter a technological solution: our FoneTrac® travel security App for both iPhone and Android. The beauty of an app for the smart phone is that it makes it very easy for the employer to work with the employee in a transparent way to track their itinerary on a day to day basis, including check ins so that management knows where the employee is at all times. It is also very non-intrusive, which will help with employee compliance. It should be noted, of course, that the employee is 100% aware of the system, as nothing is done in secret or in the background. In addition to making check-in’s and itinerary management easy, FoneTrac has an added value. It connects to the GlobalSecur system so that employees can be given real-time alerts on issues such as weather events, political unrest, crime updates, or even terrorist incidents. In this way, employees who are traveling to or from Mexico will be able to be informed on a timely basis of events that they need to know about. Finally, if an emergency presents itself, such as a medical emergency, they can use the FoneTrac app to instantly be connected to real people in real time, who can assist with ground operations. In summary, although employers and employees may not realize how easy it is to use this app for travel to or from Mexico, once they see the opportunity, this app can become a welcome addition to a security plan for any corporation that operates on both sides of the border. If your organization is interested in exploring how FoneTrac might work for you, please contact us via feedback form or call 877-887-9914.